An easy way to spruce up any kitchen is by applying vibrant wallpaper – and one of the best motifs to use in this space would be that of fruit. If you’re looking to quickly and painlessly turn the look of your kitchen around, keep reading for tips on how to choose the perfect fruit-themed wallpaper and 14 illustrated examples of gorgeous patterns. Why choose a fruit-themed wallpaper for the kitchen? One of the fastest ways to turn around the look of any room is by using wallpaper. It allows you to quickly transform the look of a huge space which can then serve as the backdrop for the rest of your renovation project. Modern wallpapers allow you to quickly apply the new look, and with peel-and-stick varieties, you can often unpeel the wallpaper as easily as you put it up – perfect for renters, for example. 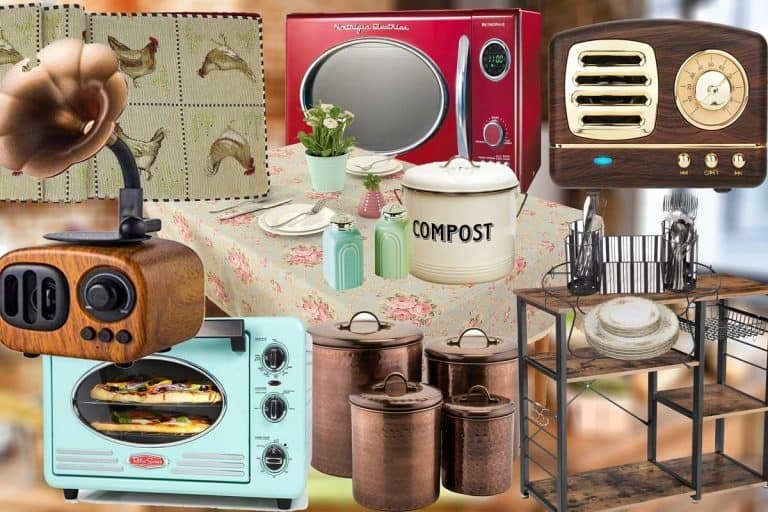 You can and should choose a theme for your kitchen. Choosing a theme helps you focus your design efforts, making it easier to coordinate colors and decor items. When it comes to the kitchen, a food-related theme often makes a good choice. You can go with a wine-themed kitchen, coffee as a theme or fruit! Fruit is a great topic to work. It inspires a fresh, colorful and healthy vibe that works very well in most kitchens. How to get the best effect from a fruit-themed wallpaper? Here are a few ideas. 1. One wall or more? You don’t need to cover all four (or three) walls. You could – but in many cases that could be too overwhelming. Focusing on a single accent wall is a great way to use bold large realistic prints of fruit. As you’ll see in the examples below, fruit patterns can come in a variety of sizes. Many wallpaper designers offer huge prints with high-quality photographs of fresh fruit. These can definitely be a focal point in the room – but make sure this is the effect you’re after. Otherwise, a small repetitive fruit pattern might be a better idea. 3. Fruit in general – or a specific type of fruit? This is something you should consider early on. You may want to create a lemon-themed kitchen or an apple-themed one. And that’s fine. Or you could go with fruit as a general theme where your wallpaper will show a bowl of fresh fruit and decor items will complement that with a variety of specific types. Fruit often have gorgeous and intense colors. That’s part of their appeal as a design motif. This is where you need to keep your overall color scheme in mind and see whether an all-out fruit salad effect is what you’re after, or maybe you should limit yourself to fruit of particular colors and shades. To help inspire you further – an offer some help with making a choice – we’ve covered 14 various examples. Click on the images or links below the descriptions to get to the Amazon page where you can quickly and safely place an order. Orange print wallpaper adds a dose of summer to the room. There’s a healthy splash of orange, green, yellow, and some neutral grays, a perfect combination of different colors that should spruce up even the most lackluster decors. The wallpaper designed by Spoonflower is available in four different sizes and a test swatch. Make sure to measure your room’s dimensions before ordering these wallpapers. This fully removable wallpaper allows tons of experimentation and leaves no residue behind. You can wash it without worrying about causing damage to the print or polyester fabric. The vibrant collection of fruits may be a little too strong for some people, but the portrait will look good on any wall nevertheless. The artisan drew an assortment of watermelons and pineapples, with some fruits being half eaten. Each fruit is rich in color, although the white backdrop does look out of place. Either way, if you’re a fan of fruits, you won’t go wrong with this wallpaper. It is available in different designs ranging from 4 ft by 4ft all the way up to 9 ft by 9 ft.
A plump apple does look like a fitting decorative item on the wall. The shiny red luster will look good on most rooms, while the greenery strongly contrasts the strong red for a more transformative experience. There is nothing artificial about this wallpaper, the apple is as real is it can get, captured using a professional camera. It was printed on Kodak Supra Endura paper for best results. This wallpaper can go particularly well for your kitchen if you want to stimulate a desire for healthy food. The professional print will look good with most interiors. Since many cleaning products have a distinct lemon scent to them, why not play around with an incredibly aesthetic looking lemon wallpaper? Its mouthwatering design is emblazoned with white flowers, green leaves, and of course, plump yellow lemons. The mural is complemented by neutral whites to ensure maximum compatibility with most accessories. The wallpaper designed by Spoonflower is available four different designs and a test swatch. Make sure to check out compatibility of the wallpaper with the test swatch before bulk ordering. This print will make you want to lick the kitchen walls when the summer heat flares up. The artisan created different murals of watermelons against the backdrop of black dots (signifying watermelon seeds) and gray colors. You can buy this wallpaper in rolls of 5 by 7 ft. The ink was made using advanced digital production tools to ensure it doesn’t fade away. Any wallpaper that has strong pops of neutral grays should go perfectly with most kitchen walls, including this product. Click here to buy the wallpaper by Muzi. Bring summer vibes into your home by transforming the kitchen walls with an assortment of multicolored fruits. The artisan carefully chose some of the most colorful fruits that include apples, berries, strawberries, oranges, and grapes to enhance your experience. Furthermore, this wallpaper is fully removable due to its slick peel-and-stick design. You can experiment with the wallpaper creatively. It will not leave any marks and can be repositioned without worrying about residue or damage to the wall. You can buy this wallpaper in four different sizes, choose the one most appropriate based on your kitchen’s dimensions. This elegant wallpaper with a fresh spin on contemporary kitchen murals features vibrant colors and truly does help set the tone for the kitchen. The faux white brick compliments each item on the print, inviting positive, bright color into your room, helping your spruce up your kitchen. The print is available in 7 different sizes, and it should only be installed on smooth and clean walls. Transform your kitchen into a breathtaking summer retreat with the 3D Fruits wallpaper print by Dalxsh. It is a great choice for folks who want to create a ravishing look that makes an impact. Each fruit helps keep the mural bright and light and the subtle contrast of the green leaves will give your wall character and depth. This wallpaper is available in five different sizes. You can have this wallpaper custom made by directly contacting the manufacturer. To learn more about this wallpaper, click here. 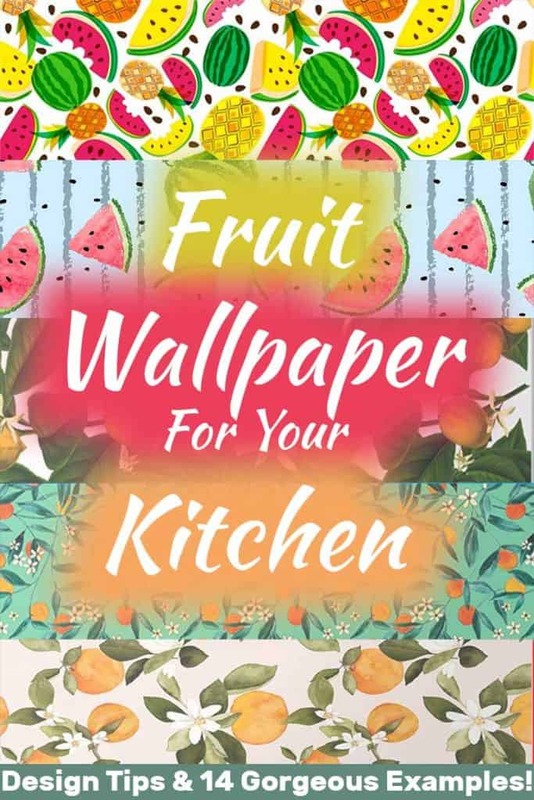 This fruit themed wallpaper is an excellent choice if you want to overhaul your kitchen’s interior décor without breaking the bank. MBWLKJ helps you do this in a joyful and bright way. The soft yellow background helps the definition of the tree branch, leaves, and plump apples to stand out, displaying the artisan’s creativity that has helped form them. The exciting mural will transform your kitchen into a beautiful environment that friends and family members will love to enjoy. Since this product is available in two different choices of materials, non woven for walls and vinyl for the floor, make sure you choose the former otherwise you may end up getting the wrong order. Click here to get more information about this wallpaper. This stunning by hwhz depicts a gorgeous collection of fruits splashing into the water. 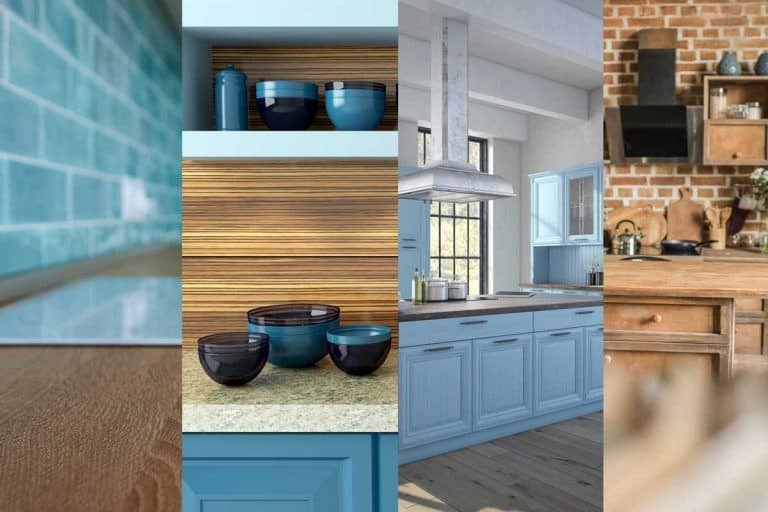 The versatile color palette of the design creates a beautiful air of elegance and sophistication needed to transform lackluster kitchen walls into stunning spaces, contemporary or otherwise. The subtle behavior of the water and how its liquid layer wraps around each fruit is a wonderful touch that hasn’t been observed in other artists. You will get peaceful vibes when you install the perfect shot of the fruits splashing into the water. Perfect for your kitchen where guests won’t help but fall in love with the splendid shot. Bring the tranquil scenery projected by the unique murals on this wallpaper by xbwy. The visual appeal of each fruit transforms the ambiance into a lustrous space. You will be able to enjoy the beauty of greenery without having to set foot outside your house. This wallpaper has a lot of creative potential, especially when used in the right lighting. This wallpaper is completely feature-rich, which means it comes with all the bells and whistles you would expect modern wallpapers to come equipped with. The ink is printed on non-woven wallpaper that is free of odor, does not contain bubbles, and has no wrinkles. The most suitable areas to install this wallpaper include kitchens and living rooms, although the former makes much strategic sense. It is becoming very trendy to capture the mesmerizing dynamic of water and fruit colliding to create beautiful art. In this case, the artist perfect manages to capture the random patterns that would unravel should this encounter take place in real life. 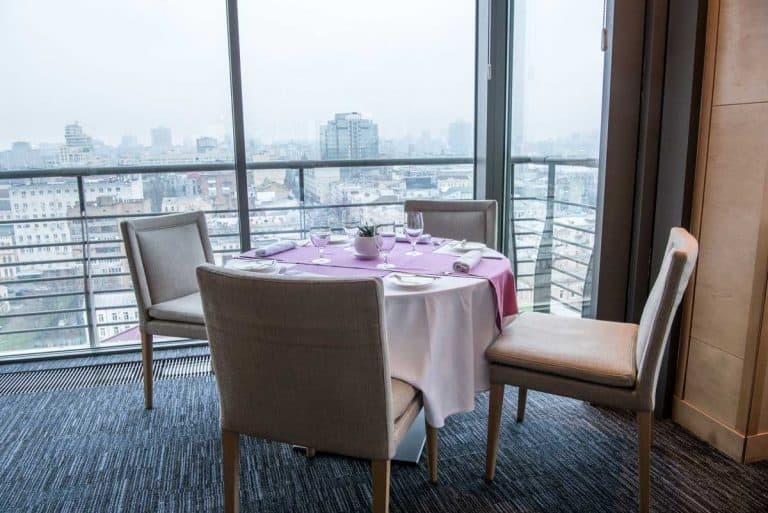 The unique mural should provide refuge from the maze of modern life, turning your space into a lively space, especially if you want to stimulate consumption of healthy food. The exotic theme will effortlessly create a space that you will be proud to share with your guests. Incorporate a bright ambiance into your home with the orange slice background by azutura. The perfect shot of the mouthwatering fruit should set the tone for breakfast, lunch, and dinner. The subtle whites surrounding the meaty orange should compliment your kitchen, bringing lots of color into your interiors. This wallpaper is available in eight different sizes, so make sure to measure your kitchen’s walls before ordering the wallpaper. This playful and unique citrus print will easily liven up your kitchen. From the bright green backdrop to the pop of white florals, to the subtle tonal variations in orange colors – every subtle detail on this wallpaper is deliberately touched upon by the artist for maximum impact. The wallpaper is FSC certified and PVC free, this ensures it is free from toxic materials. Furthermore, the vertical print repeats every 2 feet, printed on leathered texture that is built for durability and longevity. The ink does not fade with time, allowing you to wash it with a moist cloth without worrying about damaging the fabric and the print. The artisan’s creativity helps invite rich colors into your room, ensuring that you create a truly stylistic kitchen. This wallpaper is available in rolls of 24 inches by 27 feet, ensuring ample space for most kitchens.